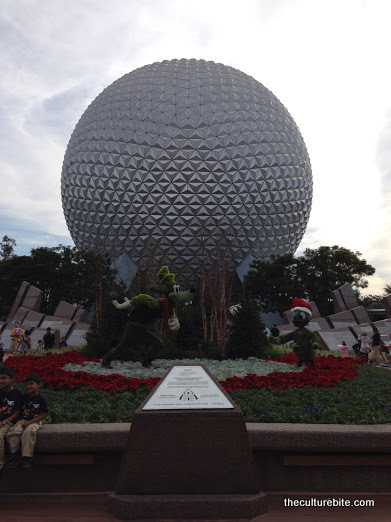 During my first visit to Orlando at the age of 9, I thought Epcot was the most boring park in all of Disney World. But in my recent return, I couldn’t have been more wrong. I probably appreciate this park because it’s so different than what we have in Anaheim. The park is designed in a hourglass figure and is divided into 2 sides-the Future World and the World Showcase. The park celebrates the innovations in technology and culture and is said to never be complete as long as the world is introducing and testing new materials and systems. My favorite part of this park is that all of the employees in the World Showcase are from the countries in which they represent. How legit is that? World Showcase – The World Showcase walks you through 11 countries around the world (Mexico, Norway, China, Germany, Italy, the American Adventure, Japan, Morocco, France, UK and Canada). Each country has restaurants and cafes representing the native cuisines. I’ve seen adults turn the World Showcase into a drinking game, ordering an alcoholic beverage in each country. In true culturebite fashion, K and I tried to eat our way through the countries. IllumiNations: Reflections of Earth – This attraction is a light and water show at the center of the World Showcase. 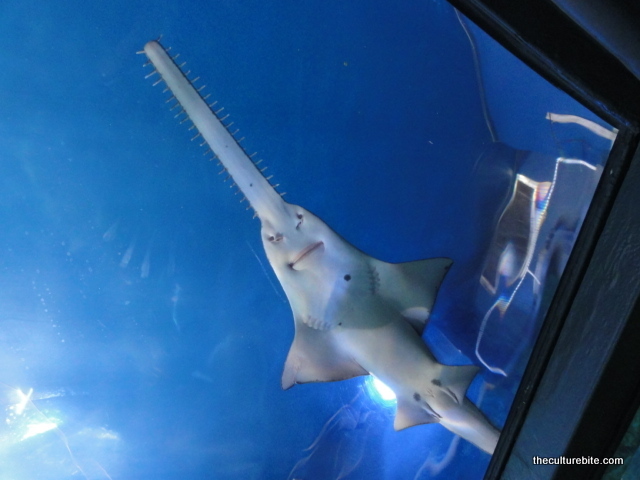 You can pretty much enjoy this attraction from anywhere around the lake. This is supposed to be Disney World’s equivalent to World of Color, but I enjoyed the latter so much more. 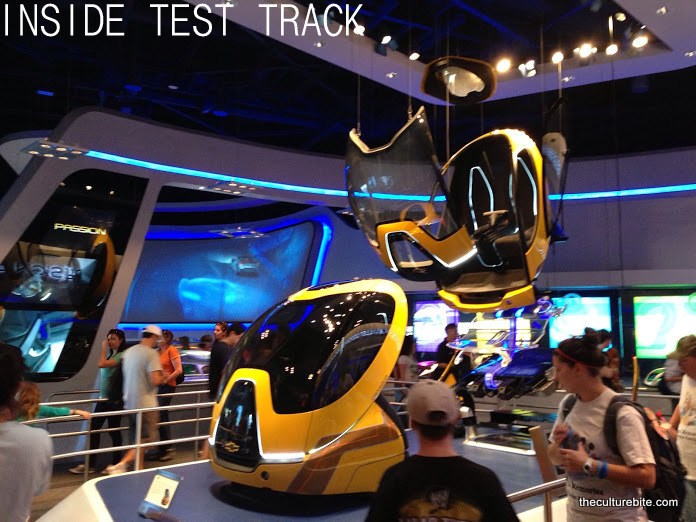 Test Track – Similar to Radiator Spring in California Adventure, this Chevrolet sponsored ride allows you to design your own sports car and race it around a track. This ride is Epcot’s newest addition to the Future World and has long wait times. Tip: Grab a fast pass to completely skip the “design a car” phase of the line. Mission:SPACE – This ride “Orange” is so intense, I’m not sure my body liked it. In this ride, you’re broken into groups of 5 with each person owning a responsibility in this mission to Mars. You sit in this tiny simulator in which they pump G-forces so you get the feeling of entering space. I got a little disoriented during the ride and had to close my eyes for a break. If you don’t want an experience this intense, you could opt for the “Green” version of the ride. 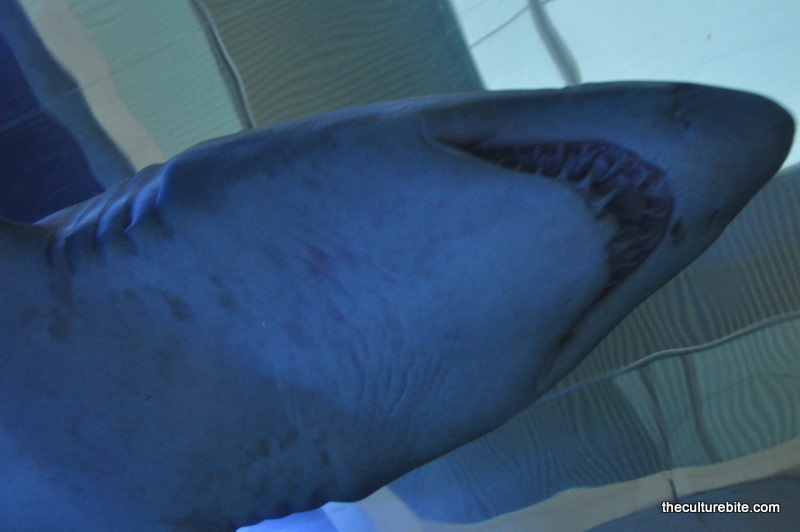 Battleship Earth – This Siemen’s sponsored ride is the icon of Epcot. Inside the dome, you’re taken (very slowly) through the history of mankind. This one can be a snoozer, but it’s something you have to do at least once. 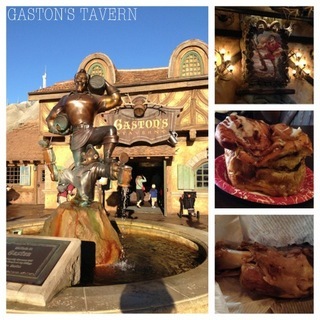 Maelstrom – This is a short ride that takes you through the history of Norway in the World Showcase. 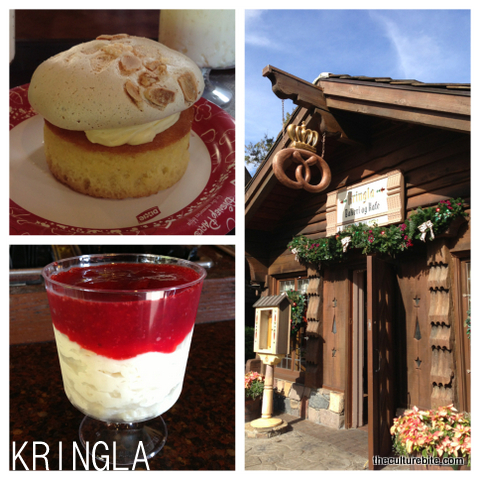 Kringla – I found this little Norwegian bakery to serve the best food in all of Epcot. Cultural classic like rice creams, school bread and lerden bestes can be found here. My personal favorite was the rice cream – a rich rice pudding topped with strawberry preserves. Super delish and it was only $2.99! Coffee Kiosk in Italy – I added this to my list because I knew finding a good latte in Disney was not going to be an easy feat. Using common sense, I figured the coffee in Italy would be worth a try (mainly because the employees in each country are natives from these countries). First thing I noticed was the price. It was the most expensive latte I’ve seen in all 4 parks – $5. The taste? Pretty darn good for a Disney park. Tip: I know these posts are geared more for adults, but if you’re looking for character sightings, check out the Akershus Royal Restaurant in Norway. They offer character dining here and seems to be less crowded than the other character dining spots at the other parks. Being native Californians, K and I are frequent visitors to Disneyland. We thought, “Why don’t we try something different and go to Disney World?” (You’d be surprised how different the experiences are.) In just 2 weeks, we booked our hotel, flight and park tickets and headed off to the happiest place on earth. Within those 2 weeks we researched everything there is to know about the parks–food, wait times, attractions, etc. And because most people I know share the same love for Disney as me, I thought I’d come back to theculturebite to share. 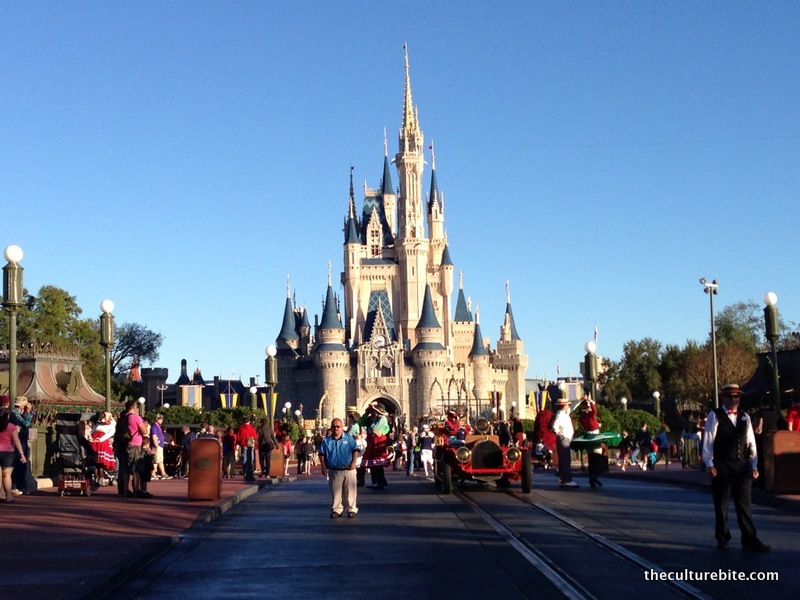 Magic Kingdom is a lot like Disneyland but with fewer rides and more attractions. The park is iconic and they’ve made a few upgrades that are worth the visit alone. 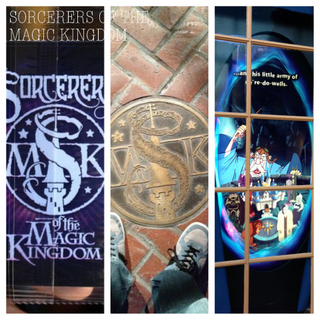 Sorcerers of the Magic Kingdom (must do!) – This alone was worth the trip to the Magic Kingdom. Sorcerers is an interactive scavenger hunt around Fantasyland, Adventureland, Frontierland and Main Street. Basically, 7 villains are trying to take over the Magic Kingdom and it’s your job to defeat them. You’ll receive a pack of random spell cards by the Fire Station before Main Street as your weapon. With a map and key in tow, you’ll unlock secret portals hidden within the Kingdom to fight the villains. Mickey’s PhilharMagic – This is a fun 4-d music show where Donald tries out the Sorcerer’s Hat and the PhilharMagic Orchestra gets a bit out of hand. 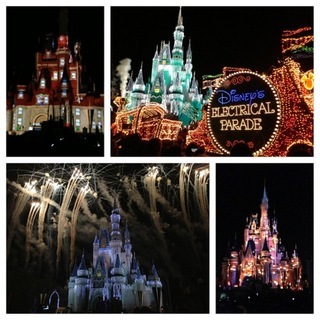 Main Street Electrical Parade – A truly magical, light show parade. They don’t have this in Disneyland anymore, so this is a must see. The Magic, the Memories and You – Immediately after the electric parade, you divert your attention over to Cinderella’s castle for a visual light show projected onto the castle. You’ll see scenes and hear songs from your favorite Disney classics. Think World of Color, but instead of water, they use the castle as the backdrop. Fireworks – The evening events wrap up with the fireworks show. Even in Disneyland, this is one attraction I cannot miss. The rides in the Magic Kingdom are also at Disneyland in Anaheim. Though, you’ll notice subtle nuances within each ride. Roasted Pork Shanks – Need I say more? Le Fou’s Brew – Frozen apple juice with a hint of toasted marshmallow topped with a passion fruit-mango foam. This tastes exactly how it sounds. I wasn’t much of a fan. Cinnamon Rolls – The cinnamon rolls here are serious and the size of half-a-loaf of bread. Of course K and I had 2 of these during our trip (with a side of extra frosting and caramel). Note: Sadly, the corn dogs are not the same in Orlando. 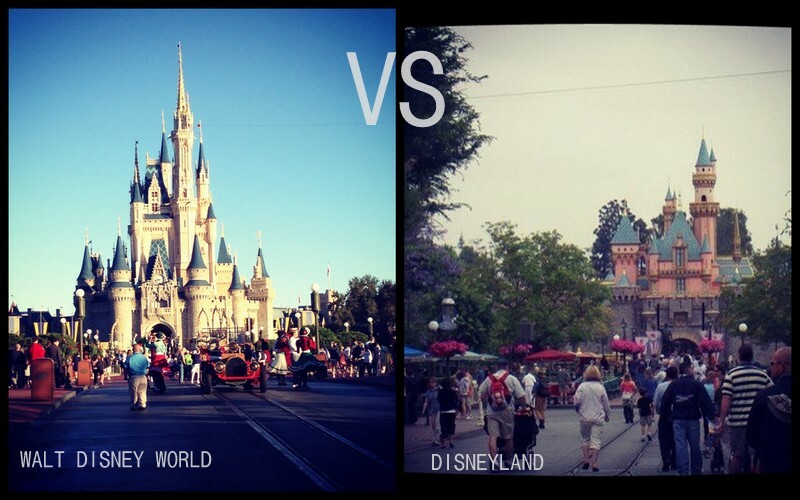 Disneyland vs. Walt Disney World – What’s the difference? 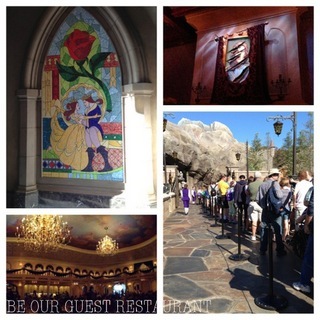 K and I recently returned from 5 whole days in the happiest place on Earth… Orlando! I had such a good time on my trip, I wanted to share my experience and some helpful tips with you on theculturebite. With those questions in mind, I built a grid of all Disneyland / California Adventure attractions and mapped them to the corresponding Disney World park. I’ve also listed out the current unique attractions at each Disney World park. If you were to ask me which park I’d recommend, I don’t think I could answer. I love each park in its own way. I love Disneyland because I grew up there. I also think the biggest draw of Disneyland and California Adventure are the thrill rides. There are so many between both parks that you could spend an entire day visiting each ride only once. If you’re interested in the entertainment and activities, Orlando’s Walt Disney World is for you. The new Fantasyland in the Magic Kingdom is a must see as is Sorcerers of the Magic Kingdom and the Main Street Electrical Parade. Today, I was alone while journeying through Sydney. Sam was busy with a conference for work , so I decided to take the opportunity to hop on a train and check out the Sydney suburbs. I rushed into the Town Hall train station, jumped on the Inner West train, looking back only because the only seat available was facing the back of the train. My first stop brought me to a little Portuguese community called Petersham. I jumped out of the train and left the smell of the train, to an open air station with one exit. I followed a few people around, and just looked at the interesting home architecture and the crazy water tower that stood up on a hill behind the homes in the area until I found New Canterbury Road. This was an interesting little block, I walked with some old Portuguese ladies, who were all too happy to say ‘hi’ to their friends as they crossed the street. Why were these ladies so happy? I was just about to find out. I looked inside this shop and saw three elderly people drinking coffee and sharing stories like old friends should. I knew this was my place. Looking at the bakery window, I see cakes, buns, and then I see it. The sun was shining through the window right on the golden tarts as if it was calling to me. The custard looked firm, yet moist, and the crust looked like hundreds of tiny crunchy flakes ready to break off and melt in my mouth. “I’ll take one Portuguese custard tart and a latte, please.” “Eat here, or take away?” the young barista asked. “Eat here,” I said hastily, something like that shouldn’t wait unless it was absolutely necessary. It didn’t take long for my latte and tart to come. The latte itself was pretty standard fare, so I won’t say too much about that. The custard on the hand, was everything I explained and then some. The egg custard was tasty and not too sweet, the crust was buttery and flaky, and the little sprinkle of cinnamon added that little bit of goodness that brought this over the edge. I ordered one to go, and picked up one last bit of goodness before heading to Darling Harbour. It was getting close to lunchtime and I had to bring something extra good with me to meet up with Sam. Across the street from Sweet Belem was a huge sign that said Traditional Portuguese Charcoal Chicken. I ran inside and ordered a quarter chicken. The woman at the counter asked, “Tangy or Spicy?”, my mouth watered and I said, “Yes.” “Sir, sir, please choose one.” “Both please.” “That I can do.” I watched as she chopped up a quarter of a chicken, and brushed the Tangy sauce and then brushed the Spicy sauce, and placed it in a foil bag and in a plastic bag. Oh man, the smell was wonderful! I rushed back to the station and hopped on the Inner West and got off at Town Hall. I sent Sam an email that I was at the Convention Center. We sat in the mall close by, and we opened up my goody bags. The chicken was still warm, and on the first cut, was still juicy. The taste that really makes it is the Piri Piri sauce. Garlic, butter, chillies, and citrus hitting all my tastebuds. This is definitely something I will have to look for in San Francisco. After lunch, I decided to hop on another train towards the Olympic Park. The train from Darling Harbour is the Northern Line, taking it from Town Hall to the Concord West Station. I could have continued on a special train to the Olympic Park station, however I wanted to walk through Bicentennial Park towards the Olympic Stadium and Aquatic Park. Upon entry into the park, I found families having picnics and organizations running events on really large fields. I decided to follow this businessman and and jogger further into the park towards what looked like a huge tower. A handful of people were just strolling through the park or exercising, and no one was climbing to the top of the tower. I saw a staircase, and decided to make the climb. The view from the top was mediocre at best. No wonder there was no one else climbing the Treillage Tower. I had a view of the park I walked through, a river, and the city line… oh and Ikea! In the year 2000, the Summer Olympic Games were held in Sydney. The Sydney Olympic Park is quite a sight. 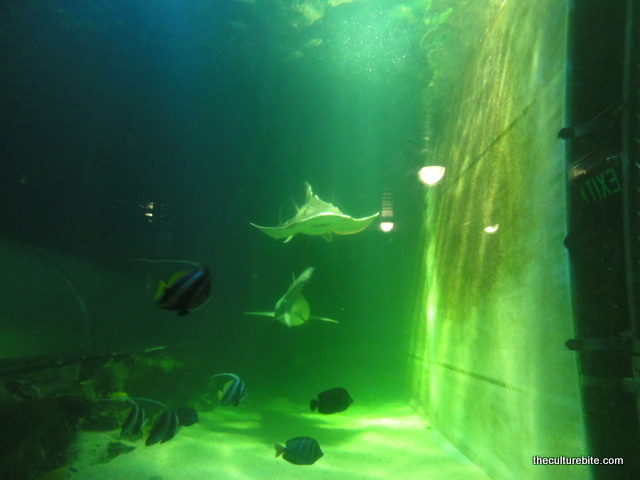 I checked out the Aquatic Park, ANZ Stadium, Allphones Arena, and the grand Sydney Showgrounds. The coolest thing I saw there was the Monster Skate Park. There was a group of Japanese tourists learning how to skateboard by Australian skateboarders. After a while, I got a little lost and ended up at a convention center with a lot of loud music, and a guy shouting encouragement and numbers. I peeked inside and saw a bunch of people punching the air and jumping around. Ah, a sign said, “Train the Trainers.” And seeing the fitness level of the people inside, I realized I was at a fitness trainers seminar. Definitely not what I was expecting. After walking around for about 3 hours, I decided it was time to return. While sitting patiently on the train, I remembered hearing about a bakery in the Surry Hills area. Bourke Street Bakery is about a mile from the closest train station, Central Station. The walk is pretty nice, you walk through Ultimo into Surry Hills. The style of the homes in this area seem Victorian with some a lot of metal fences. I thought they were pretty unique and interesting to look at. The people here reminded me of Noe Valley in San Francisco, a lot of young families, hipsters and dogs. I finally reached Bourke Street Bakery, and waited in a 4 person line. By the time it was my turn, the clerk was pretty rude. “What?” “I’d like two Lemon Curd Tarts please.” “You want what?” “Two Lemon Curd Tarts.” Rolls eyes. “$9.” Hmm… it doesn’t sound that rude when I type it out, but trust me, I felt like I wasn’t wanted. The Lemon Tarts were pretty delicious. Lemon custard surrounded by a flaky crust. How can you go wrong? First bite you crack the crust a bit and let the lemon custard goodness attack your tastebuds with that sweet, tangy cream. Despite the rude clerk, I would still make the trek here to try their other pastries. After bringing that second tart to Sam, we headed out for dinner. Sam had asked her Australian coworkers about a good place to try Kangaroo and Crocodile meat. I was pretty excited to try Kangaroo. The place is called The Australian Hotel” and is located in The Rocks. We entered the bar/restaurant and asked for a table for two. The server just told us to pick a seat anywhere that’s open, so we found one by a window away from the bar. After sitting for about 5 minutes, I noticed a sign that said, “Please order all drinks and food at the bar.” So, Sam went over to the bar and made our order of Pepper Kangaroo Pizza and Salt Water Crocodile Pizza. The crust on both pizzas is thick. Definitely, not the fancy thin crust that we’re used to with Napoletana pizzas. The Kangaroo is marinated in pepper and sliced thin on top of a bed of roasted capsicum and cranberries. The Crocodile is also thinly sliced but is on a bed of thai basil and coconut cream sauce. Croc meat tastes like fish and chicken marinated in mud, not my favorite. Kangaroo was tough and gamey, and I can tell they marinate it in Pepper to add some taste. The staff at Australian Hotel is very friendly, but I would definitely want to try some of the other stuff on the menu next time, i.e. Roast Peking Duck Pizza! We managed to cram a lot of things into day 3. 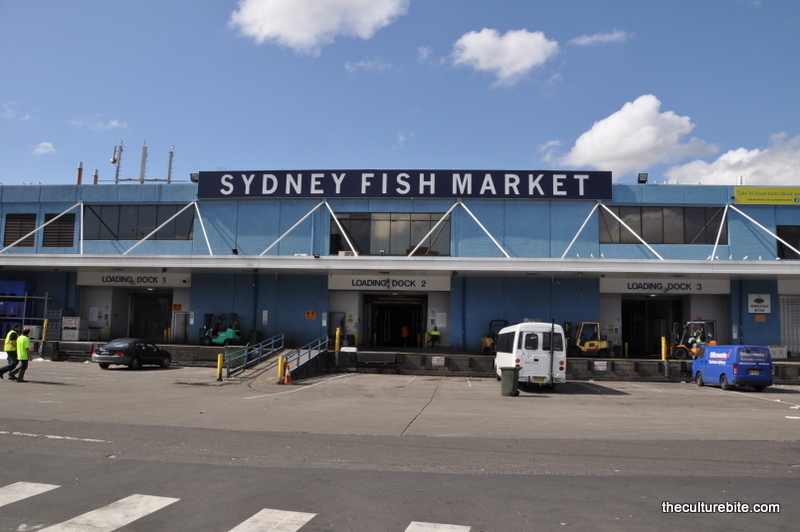 We started off at the Sydney Fish Market. Raw oysters and salmon sashimi for breakfast? Yes, please! After about a 20 minute walk from Darling Harbour to the Pyrmont district, we were at the fish market. The fish market itself is pretty small with 8 or 9 stalls. The most famous is Doyles, but it was closed by the time we got there which was around 11am. After pacing the isles back and forth, we finally decided on a dozen Sydney Rock Oysters, 4 chili prawns and one fried soft shell crab from Nicholas Seafood. We also grabbed a small container of tuna and salmon sashimi from the stall next door (can’t remember the name) and a liter of orange juice from the stall in the back (highly recommend). Then we feasted, first starting with the oysters. These oysters were much different than the sweet ones from the Bay Area. They were much creamier with a slightly bitter after taste. Still tasty, but I would prefer Hog Island Oysters over these. The salmon sashimi was extremely fresh and had the texture of butter, while the tuna was slightly mushy. I’m assuming tuna isn’t something they import every day. The prawns were the filler of the meal. These big guys were stir-fried in Thai sweet chili sauce with shells and all. Really tasty, but we were pretty full at this point. Last but not least was the soft shelled crab. We did some research prior to visiting the fish market and all of the blogs warned us to stay away from the fried foods. About every stand in this market sold fried seafood, assuming that they used day old fish. But, the crab looked so delicious with its little jalapeno on top that we couldn’t resist. After the first few bites, I understood the warning. The soft shell crab was so battered and deep fried, oil kept collecting in my mouth with each bite. We quickly washed down the oil with our very fresh orange juice and moved on to our next destination. 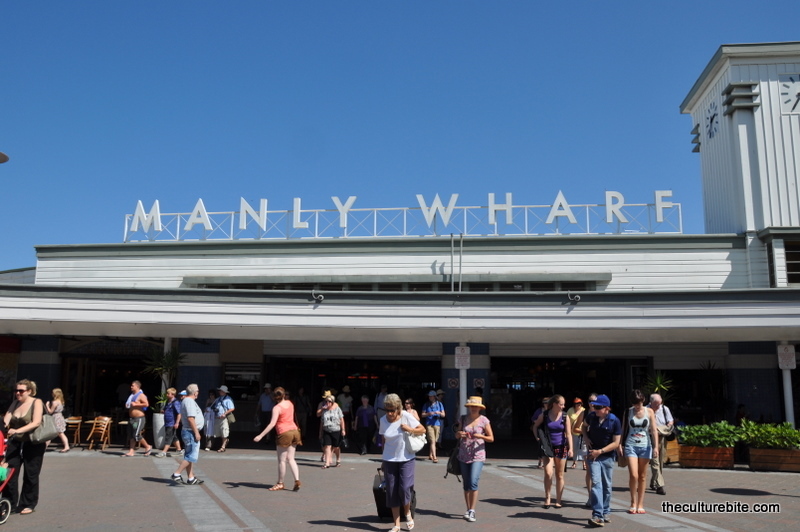 We headed over to Circular Quay to take the Sydney Ferry to Manly Beach ($14 round trip). The ferry ride is about 30 minutes and you’ll get great views of the Harbour and the ocean. 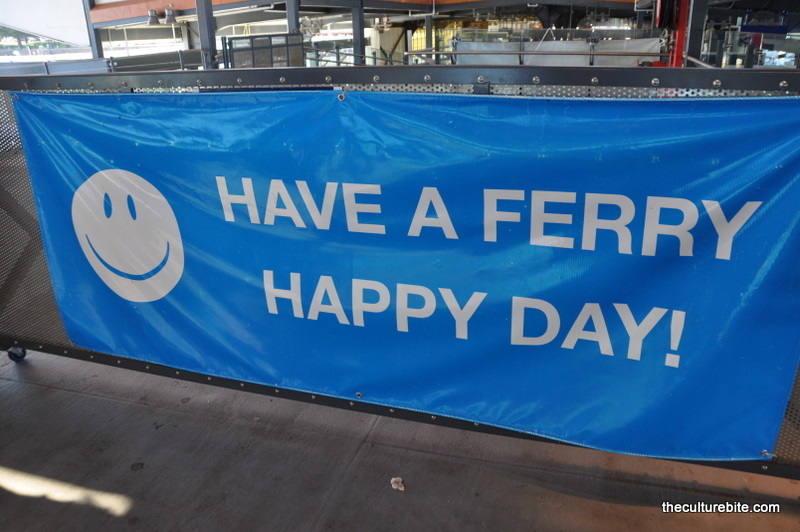 There is also a Sydney Fast Ferry that can take you there in 18 minutes, but we opted for the former. 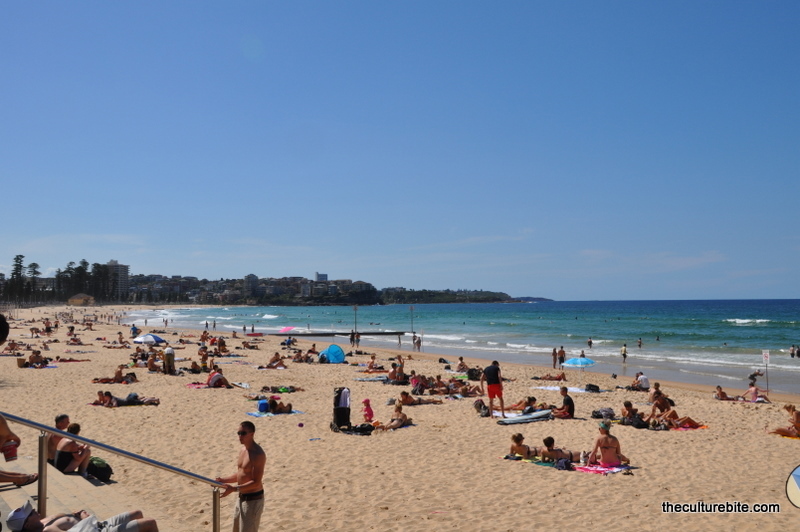 The beach was beautiful and completely packed with locals and tourists. We only spent about an hour here because I had to work a bit (yes, this was a work trip for me). There’s a 5 minute walk from the ferry station to the beach and all along the way are cute little tourist shops selling Ugg boots and t-shirts with “Manly” on them. It was a little funny to see Ugg boots all around Sydney (even the convenience stores!) in 70-80 degree weather. 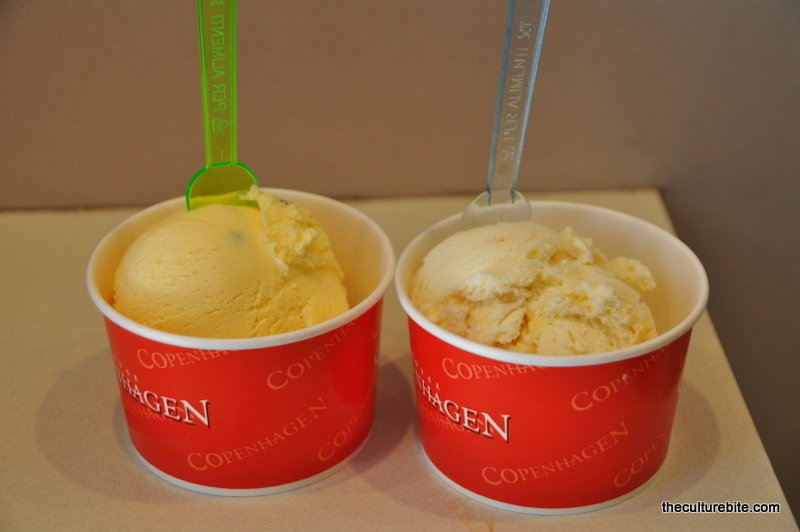 On our way back to the ferry, we stopped at Copenhagen for some ice cream. I got the passion fruit and K got honeycomb. Honeycomb ice cream is bomb. I “secretly” wanted to eat all of K’s ice cream in addition to mine. Notice how I mentioned secretly with quotation marks? 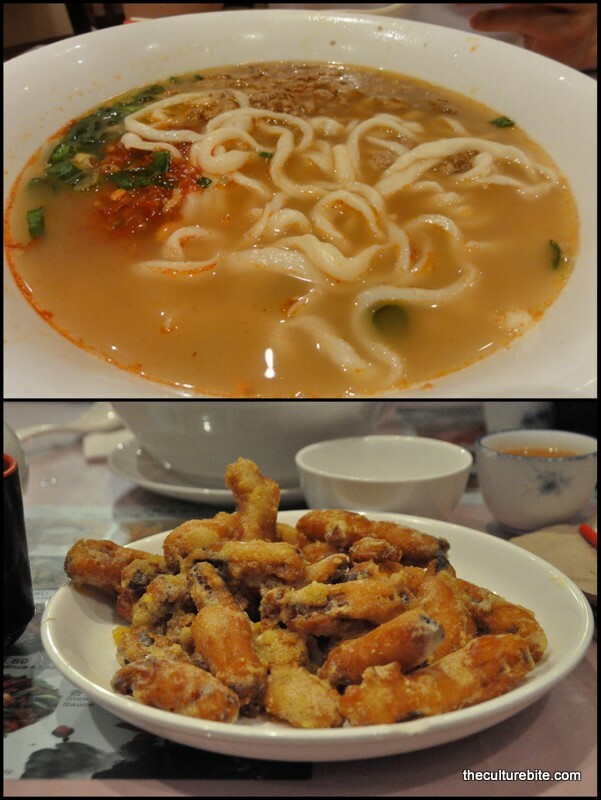 For dinner, K and I headed to Chinatown and ate homemade noodles at Yee King. We wanted to eat at Chinese Noodle Restaurant which is famous for their handmade noodles, but they didn’t take card. One thing you’ll notice in Australia is most places do not take credit cards. Debit cards are a new thing for them, so that’s accepted everywhere. Credit cards, on the other hand, are not widely accepted and if they are, the vendor will most likely charge you a credit fee. Okay, back to Yee King. K and I ordered the Dan Dan Noodles and a plate of pumpkin coated with a salty egg batter. The dan dan noodles were soupy and coated in loads of dry chili flakes. Their homemade noodles had a great texture – chewy, firm. And, it had that great handmade noodle look to them. The pumpkin wasn’t very good. The batter was a little too thick than what we’re used to and tasted like old oil. This dish is much better in SF. Whew, that was a long day. 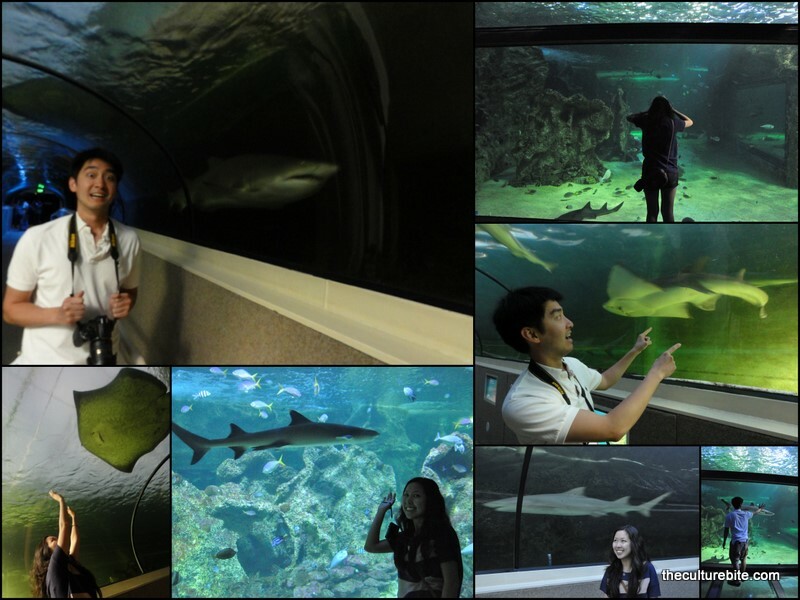 The next few days, I had to work, so K will be posting about his adventures.